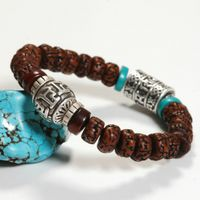 Handmade Tibetan OM Beads Bracelet Tribal Beaded Bracelet. 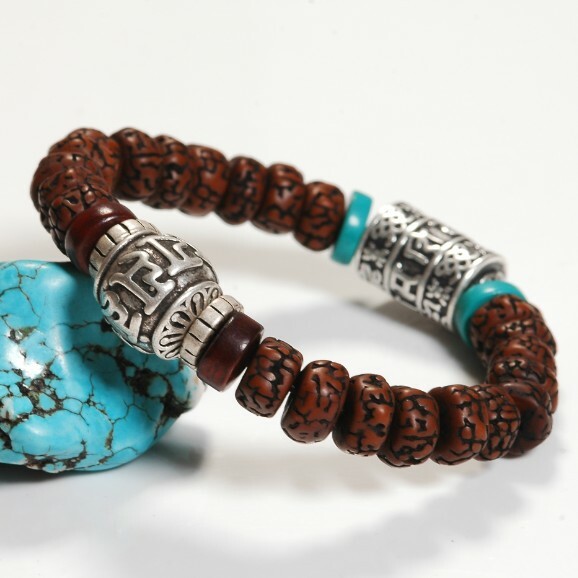 This om beaded bracelet was handmade in Tibet from bodhi beads, silver and turquoise. 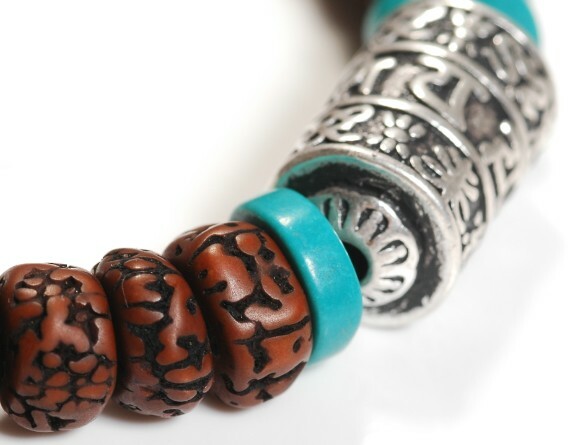 This bracelet is good for 150mm to 160mm. 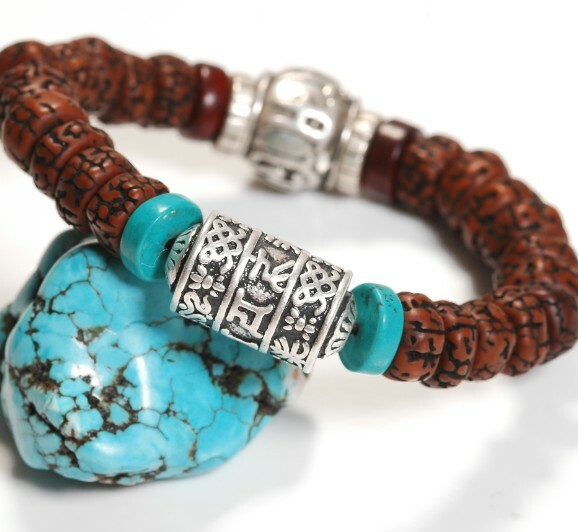 Tell us your wrist size, we can make it for you.